AUCKLAND: Adding Vitamin C more into daily diet may play a key role to protect body from cancer. It is beneficial for cancer patients & limits the growth of the tumor, claims a new study. According to the study at the University of Otago, there is a significant development with intake of fruits & vegetables containing Vitamin C that helps fighting with Cancer cells. The research led by Professor Margreet Vissers is the first real evidence of the link between Vitamin C & tumor growth. Professor said that body with low Vitamin C used to get a chance to develop certain protein that allows a space for tumor growth into body. 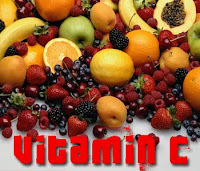 But, Vitamin C has that potentiality to fight against cancer minimizing the tumor growth. It is published in the journal Cancer Research .